Patio furniture owners that have been searching for some additional comfort often turn to Homecrest patio furniture throw cushions. GOSHEN, Ind. - Sept. 10, 2013 - PRLog -- Furniture owners that have been searching for a little additional comfort and styling for their outdoor furniture sets often turn to throw cushions. The new line of Homecrest pillows and cushions offer durability and comfort that is second to none, and are available in all the Homecrest outdoor fabric colors. For many homeowners the ultimate achievement is comfort. That is why Homecrest offers a line of durable pillows that complement their high end outdoor furniture collections. Homecrest Outdoor Living collections are the perfect addition to any outdoor setting and these fine cushions are an easy choice as the perfect complement to that setting. Perfectly complimenting any of the many Homecrest Furniture Collections, these handy and comfy throw pillows are available in several shapes and sizes. 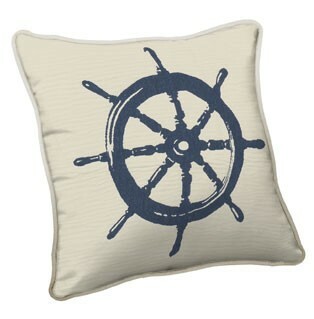 Homeowners that want to theme their porch or patio can select from the nautical ship wheel pillow, pink flamingo or palm tree pillow.